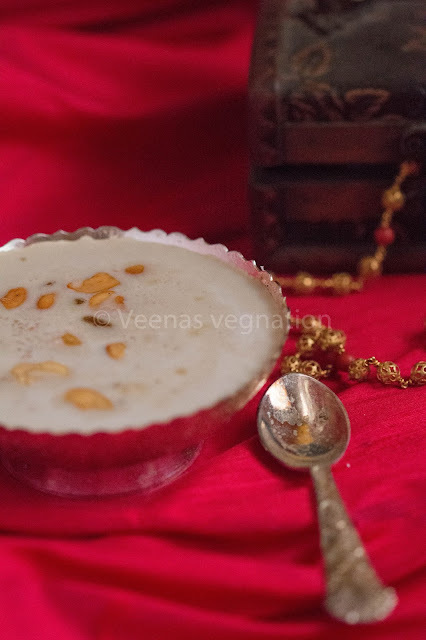 This is a very tasty payasam and a healthy one too. 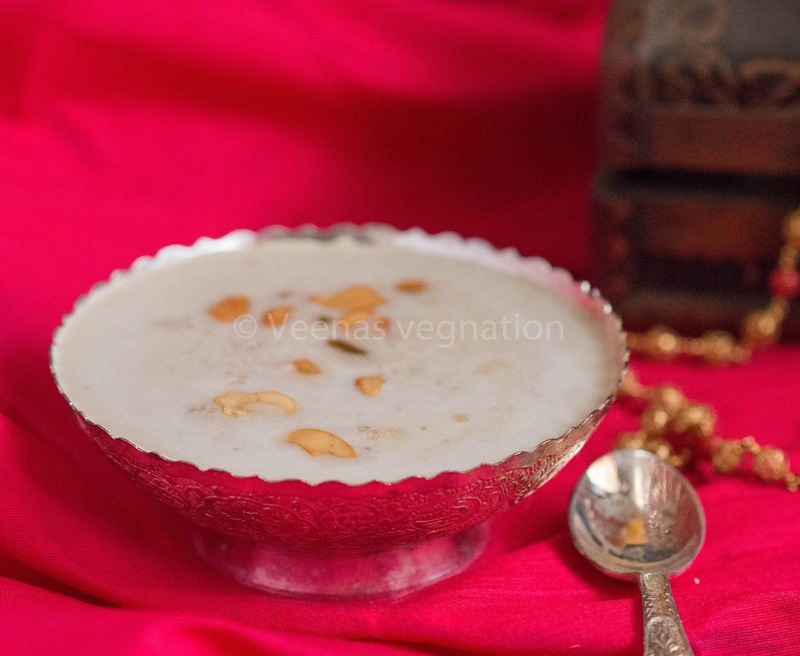 The texture is quite different from the regular payasam as we use the whole wheat rava and the flavour is enhanced by using coconut milk. Heat the ghee in a pan, add cashews and raisins and saute till the cashew turn golden brown. Take out the cashew and raisins and keep aside. Now add water to it and cook on medium flame till it is well cooked. Add more water if necessary. 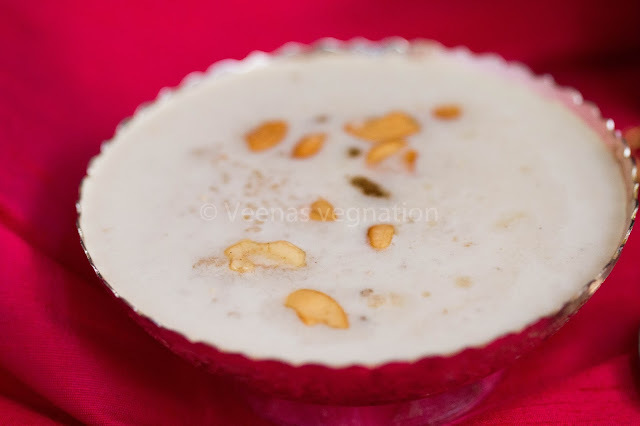 First the jaggery will dilute the consistency of the payasam , but on continuous cooking, it will start to thicken. Now switch off the fire.